If you are interested below is the link for the monthly report from the Pioneer to the fleet. Happy New Year and enjoy! The year 2018 has been a great one here on the Pioneer. There has been some great stories that we told together, and I think the best is yet to come. Let's make 2019 even better. The end of year nominations have started. These are nominations for Character of the Year, CO of the Year and XO of the year. Here is the October Sim Report for your viewing pleasure. Here is a bit of fleet news... Feel free to make it rumors around the ship. Not much to report this month, as vacations have kept us all busy. But here is the report for your viewing pleasure. It seems that our adventure has made the main news feed. Have a look. I have been told that there might be more news stories as well so keep your eyes peeled. July was a great month. Here is to what August has in store for all of us. If you are interested in seeing the monthly report for the sim then click the link below. Let's keep the steam up and charge into August. This Shore Leave was quite an enlightening one. We got a deep glimpse into this crew's private lives. We also got to know the crew of one of our sister ships the USS Juno. Our report is officially filed, thanks for the great month. Here is to many more. We won the gold Unit of Merit Award. Congratulations to everyone. If you would like to read what the Admiral said click the link for more information. Here is the Report for April 2018. Thank You everyone for the awesome work this month. Let's keep it up. Have a look at what is happening in the Task Force. These are just a few opportunities at the ever expanding Obsidian Fleet. The state of the Task Force. 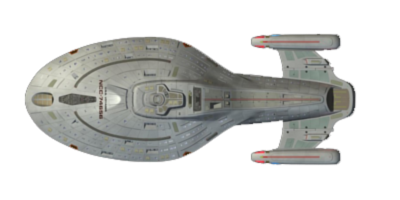 For those who may be interested the monthly report on the state of the USS Pioneer can be found here. It a great pleasure to extend a warm welcome to our three new crew members. So please help me in welcoming them aboard. Congratulations on an awesome December. Your writing is continuing to amaze me. We had a great month on the ship despite the holidays putting us on a lull. We have a few awards to present, some special ones that I am excited about so let us get to it. First off I know that myself and Lt Cmndr Patricia Montgomery would like to congratulate you all on a very exciting month on the Pioneer. You guys have amazed us with your writing and will continue to do so we are sure of it. I hope that this finds everyone well. First and foremost I would like to congratulate you all on earning the Unit of Merit Award for October. I am amazed by your writing and clearly so was the fleet. So thank you and keep it up. First off I would like to extend a hearty welcome to our new Science Officer, Lieutenant Vaebn tr'Hwersuil. Welcome to the USS Pioneer. First off I want to say great writing thus far and please keep it up at this rate I think that perhaps we could be a contender for one of those Sim awards from the fleet. Just wanted to say welcome aboard the USS Pioneer. The first mission is open for posting. This is simply the crew arriving etc. It will be a nice lead in for our second mission which will take us out of dock.